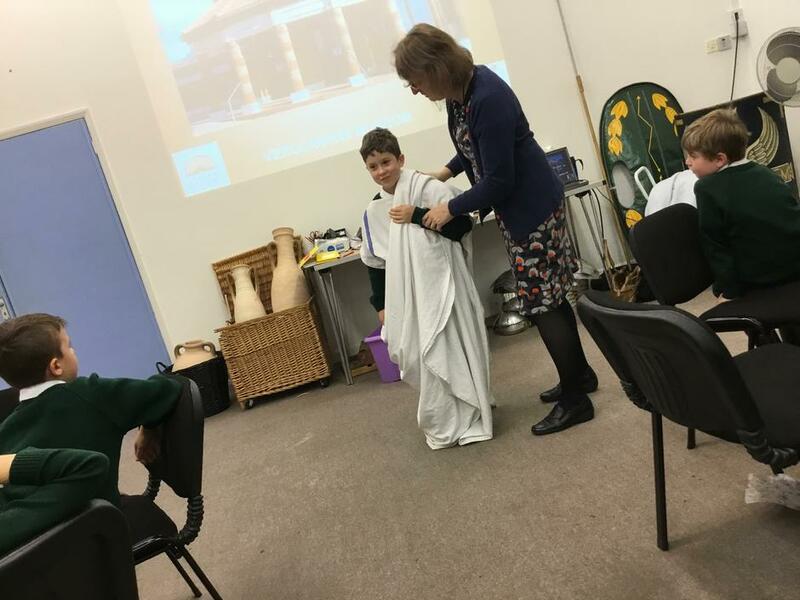 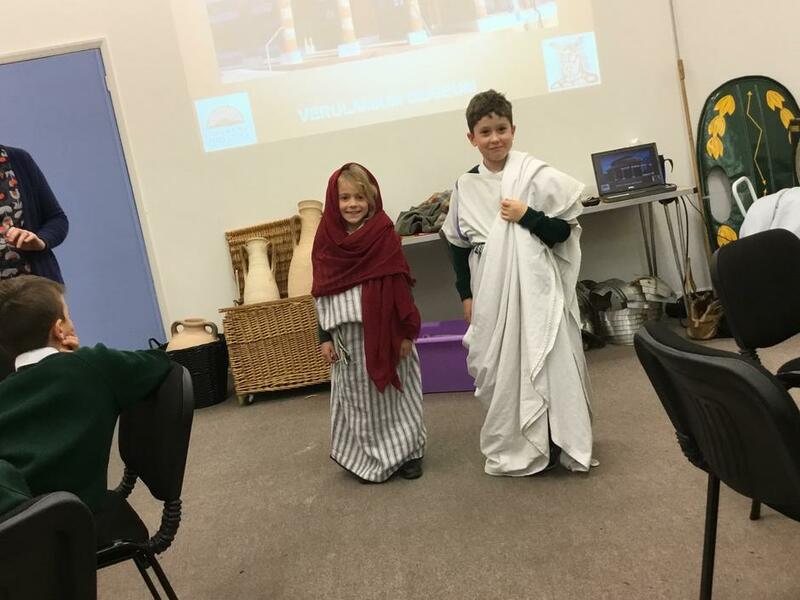 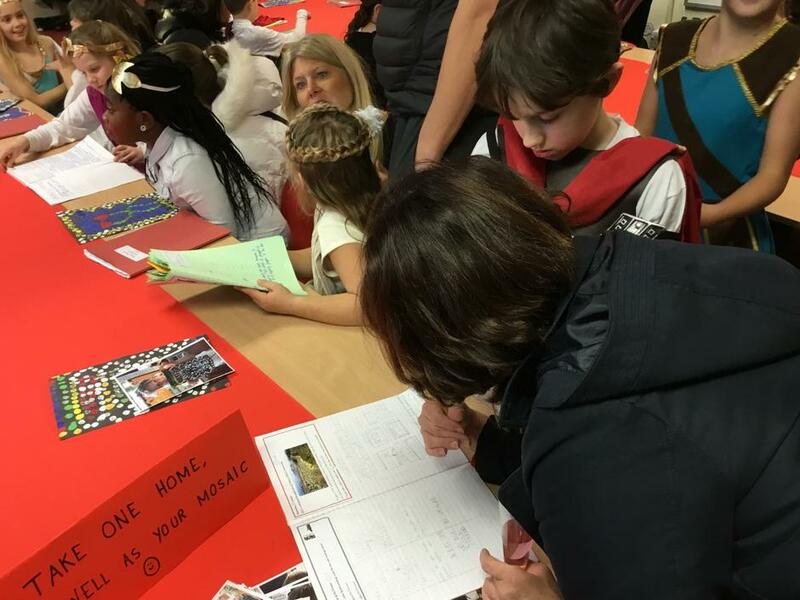 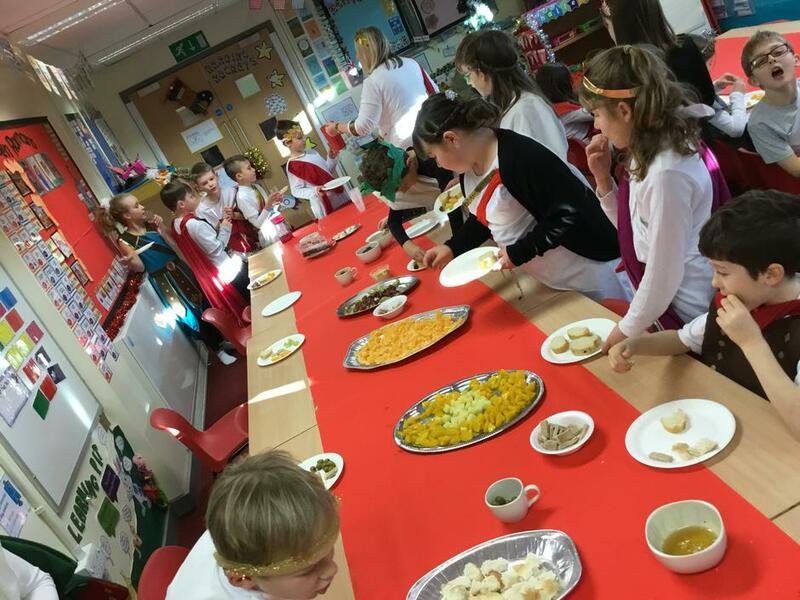 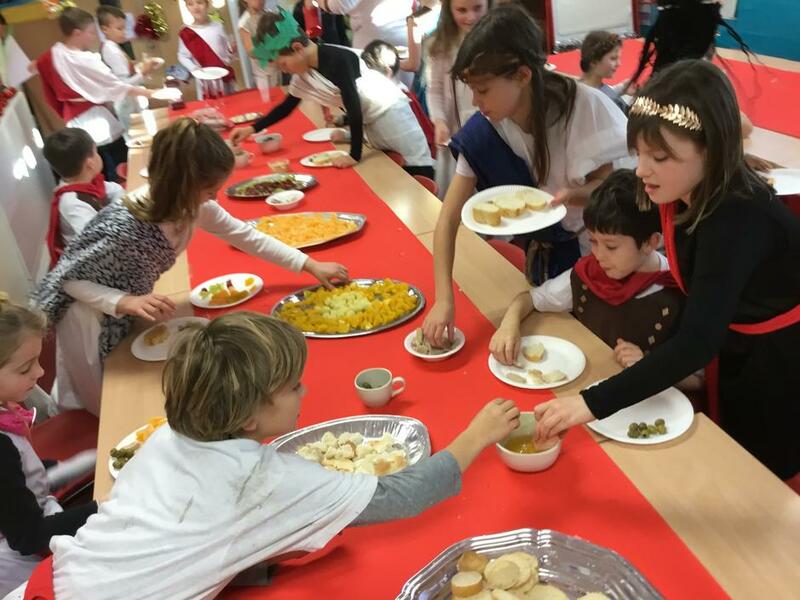 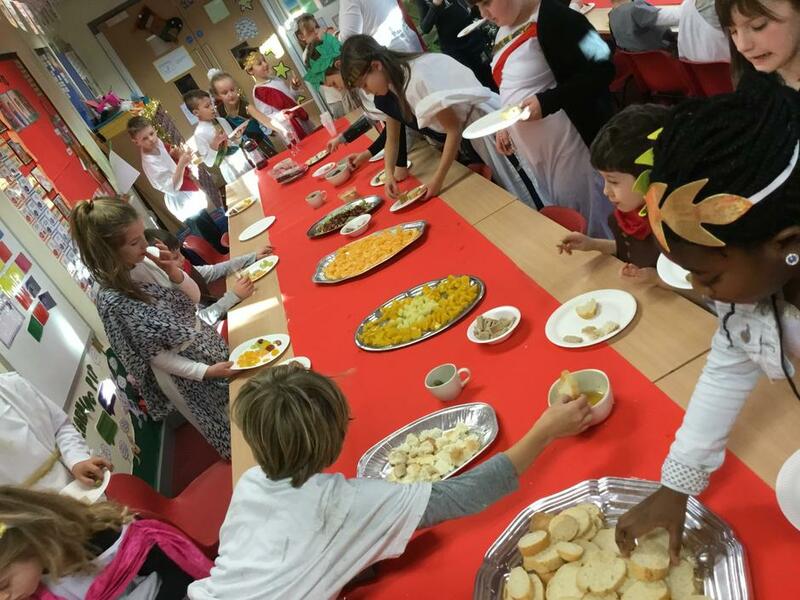 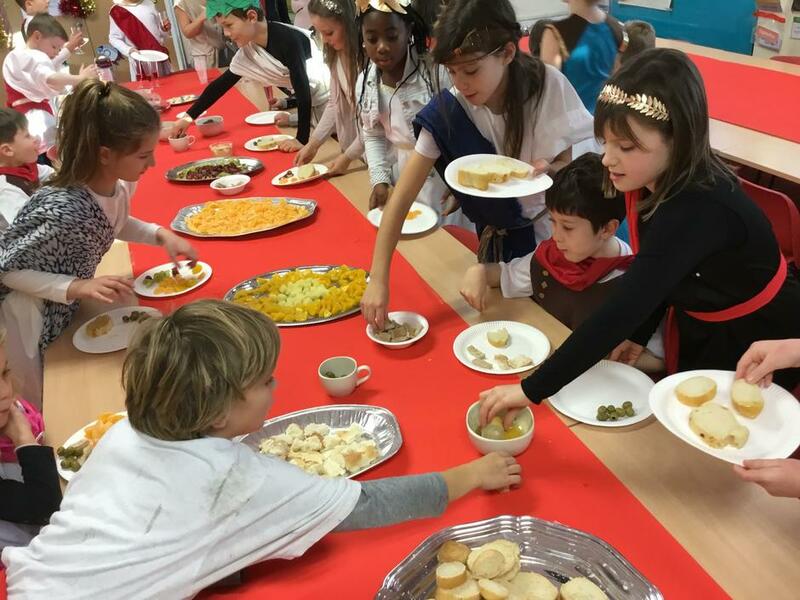 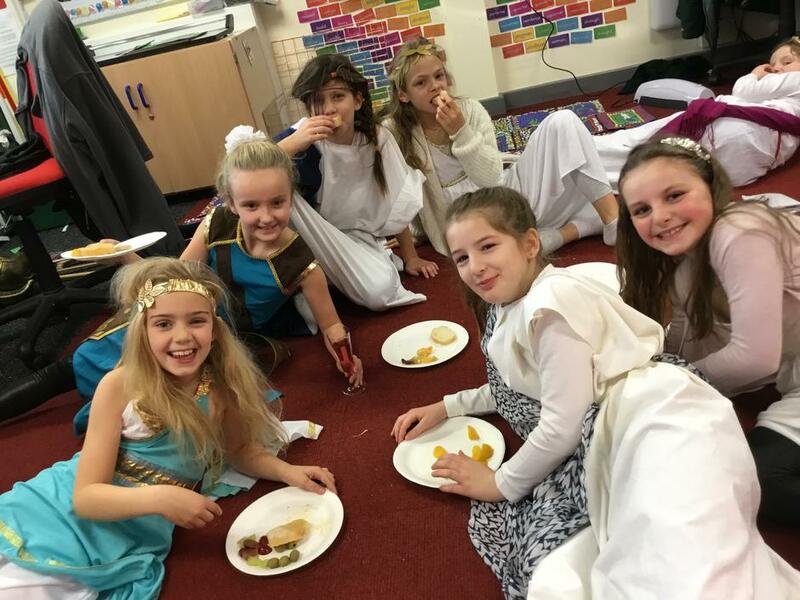 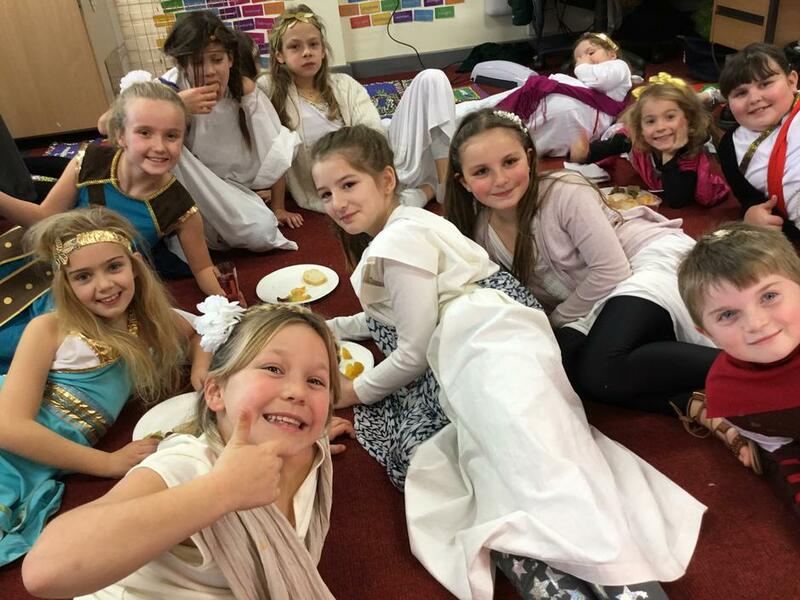 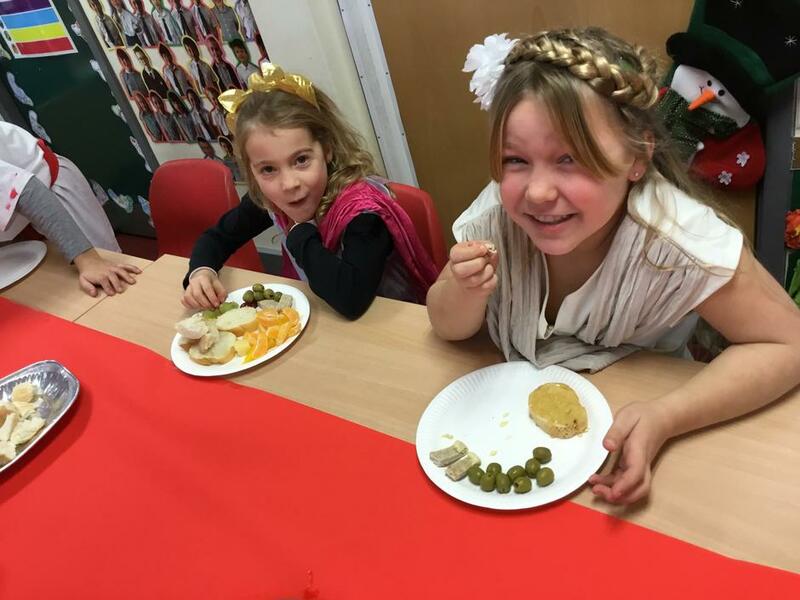 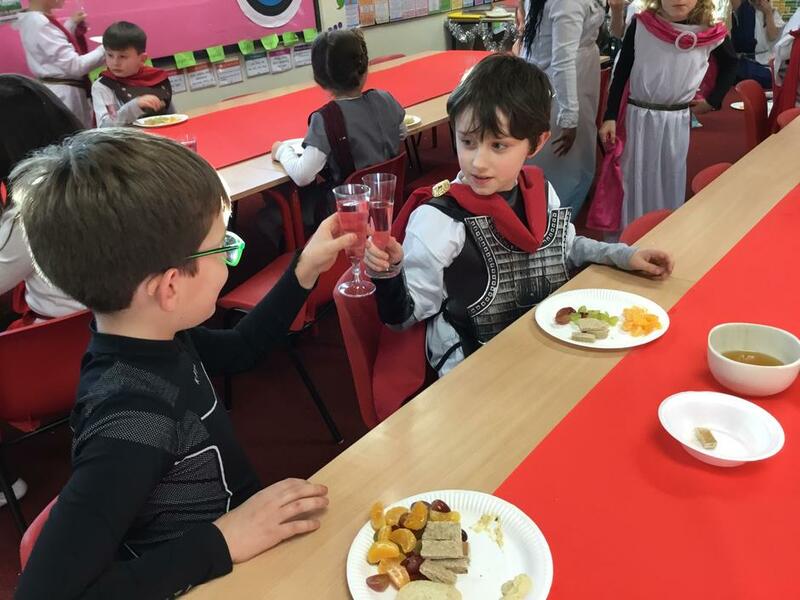 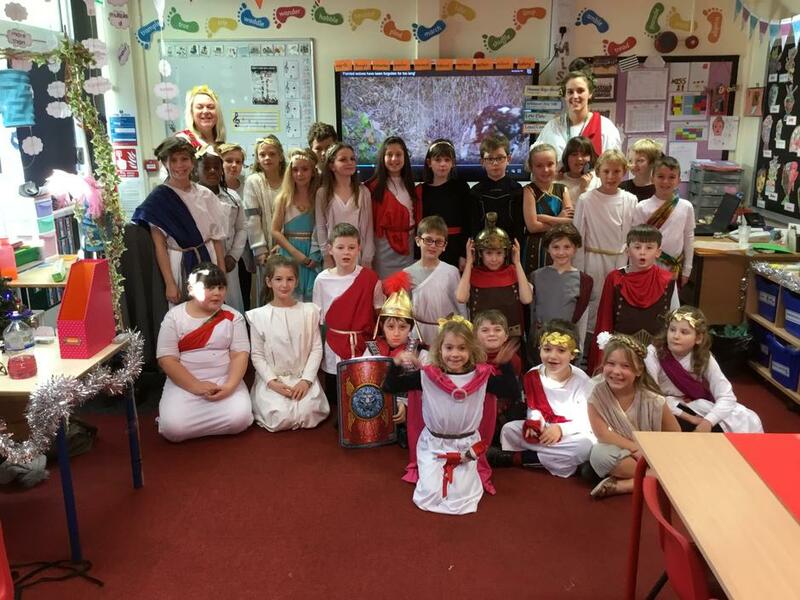 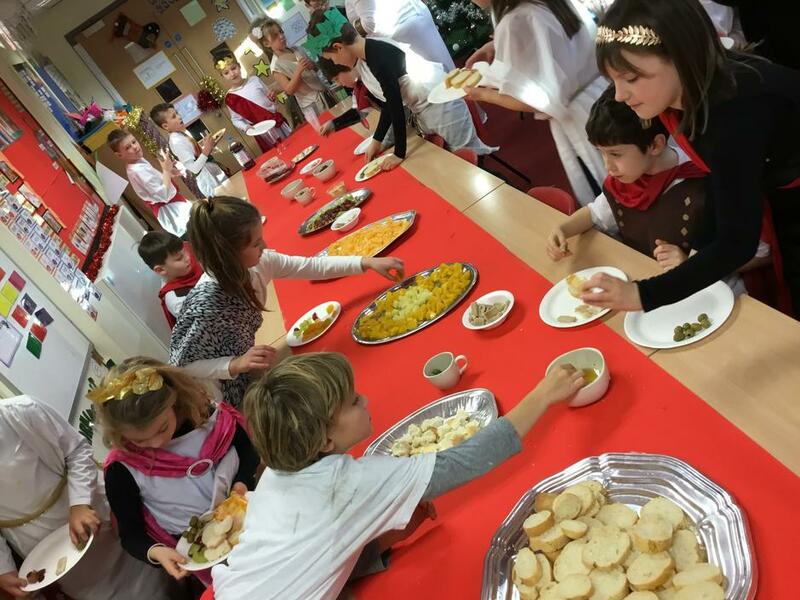 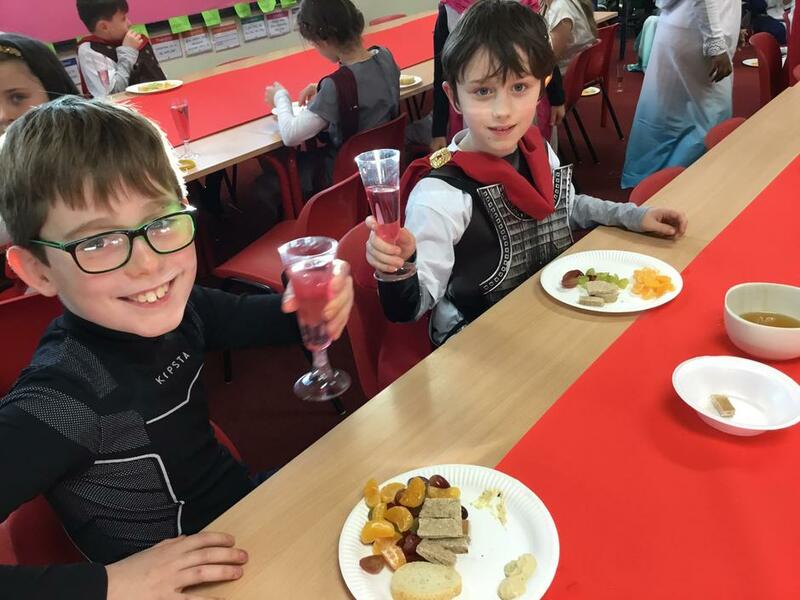 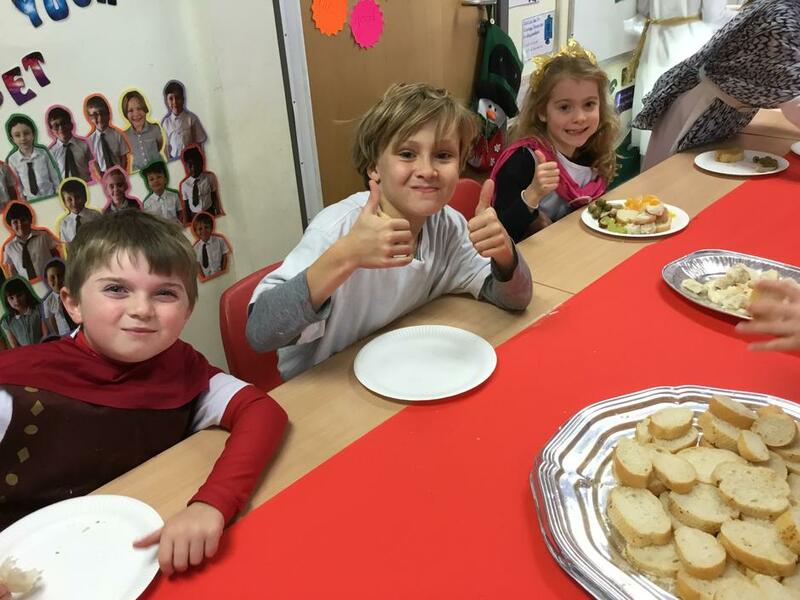 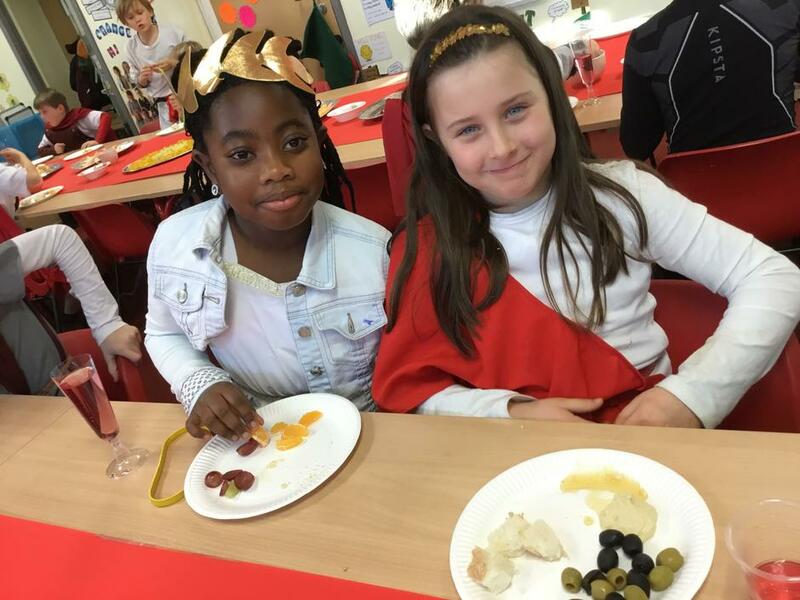 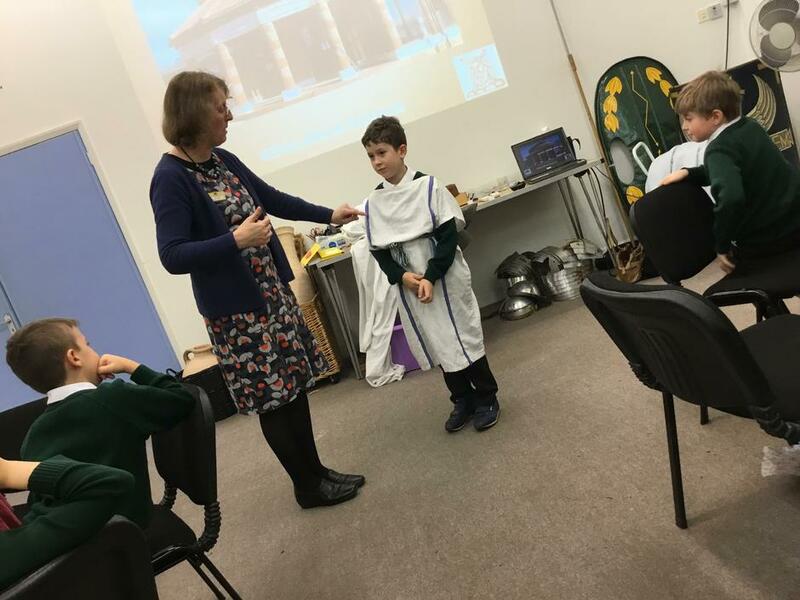 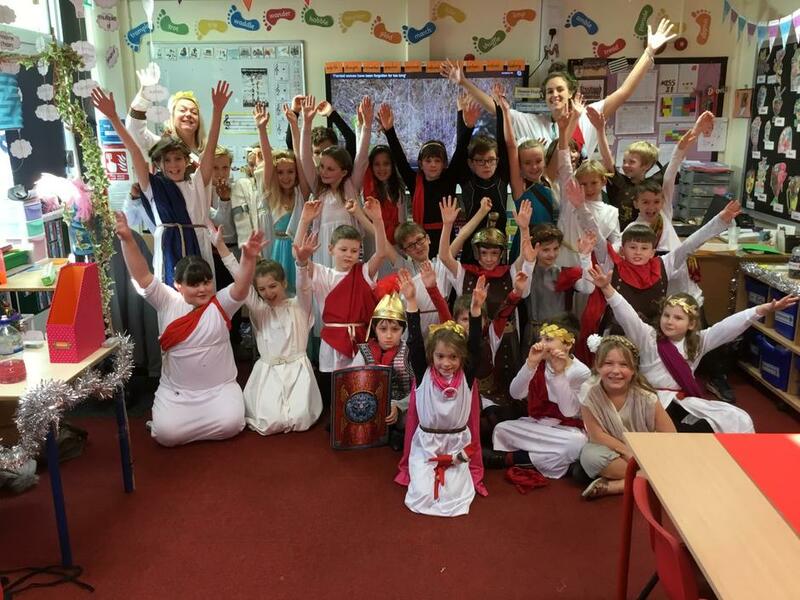 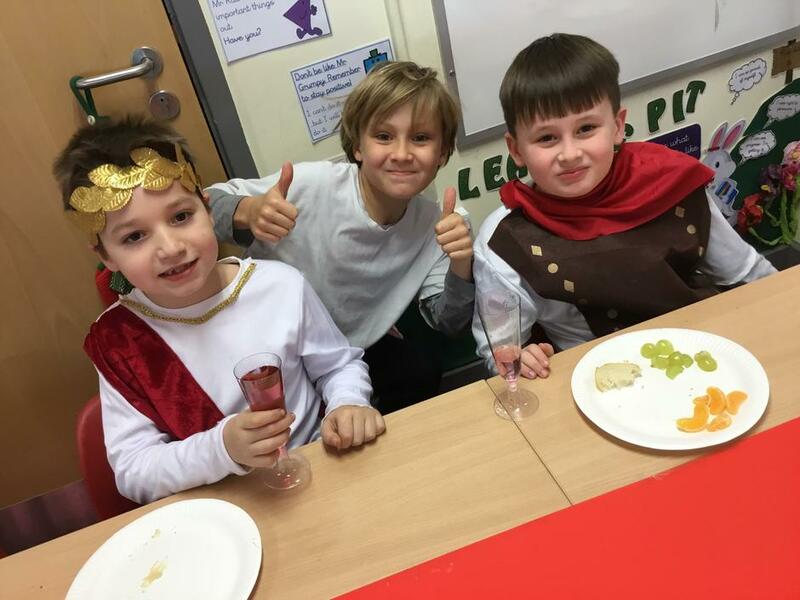 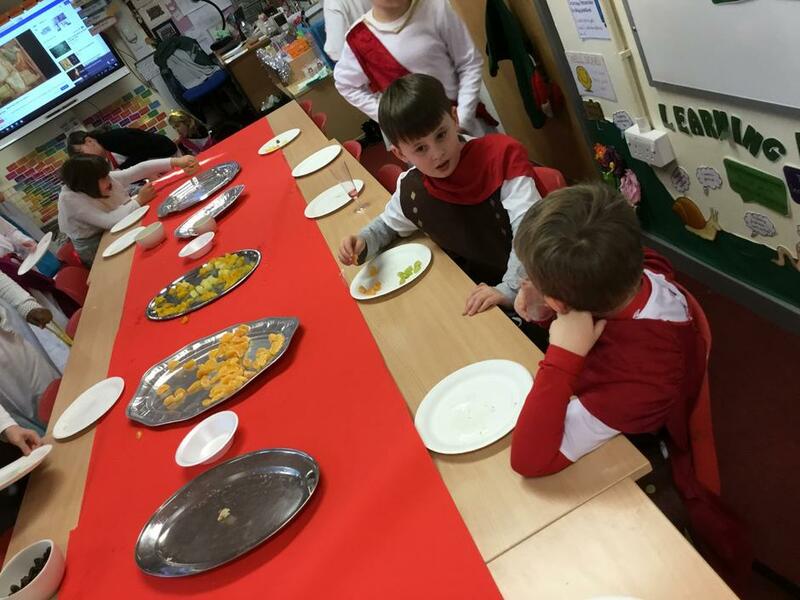 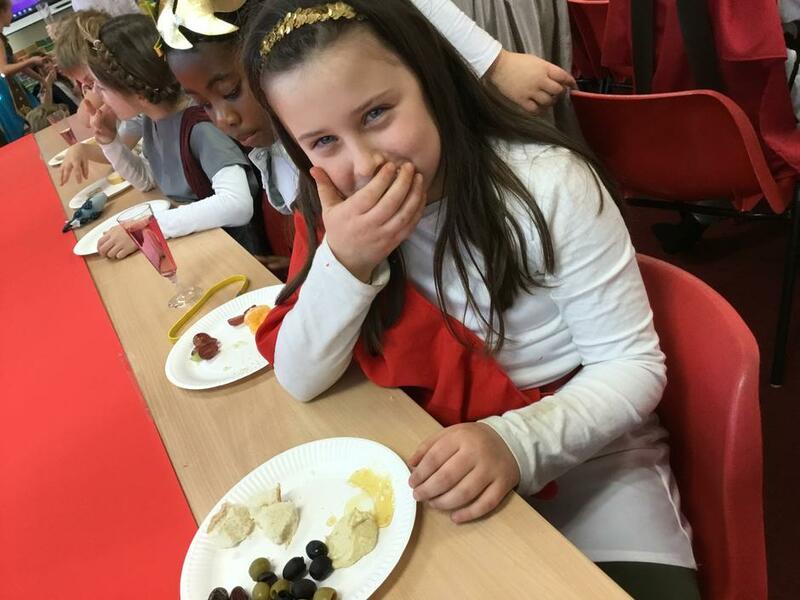 Our Roman topic culminated in a Roman banquet fit for an emperor! 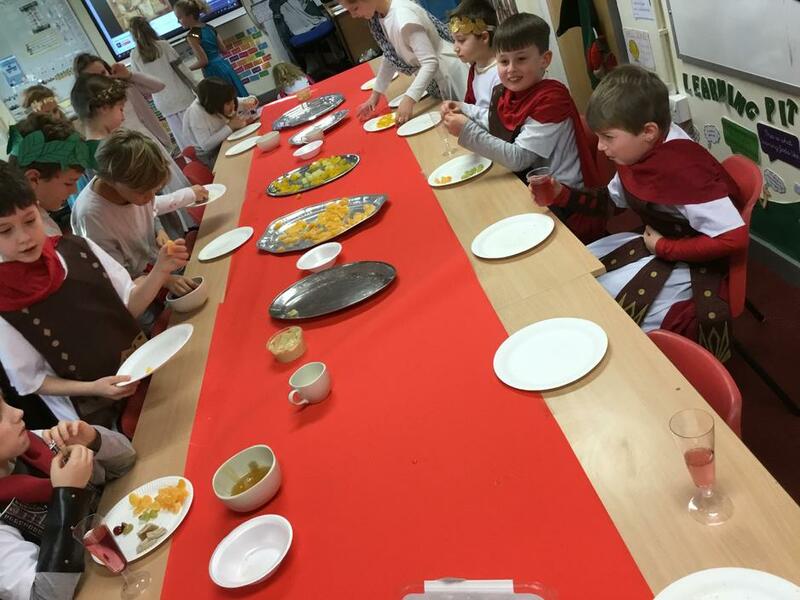 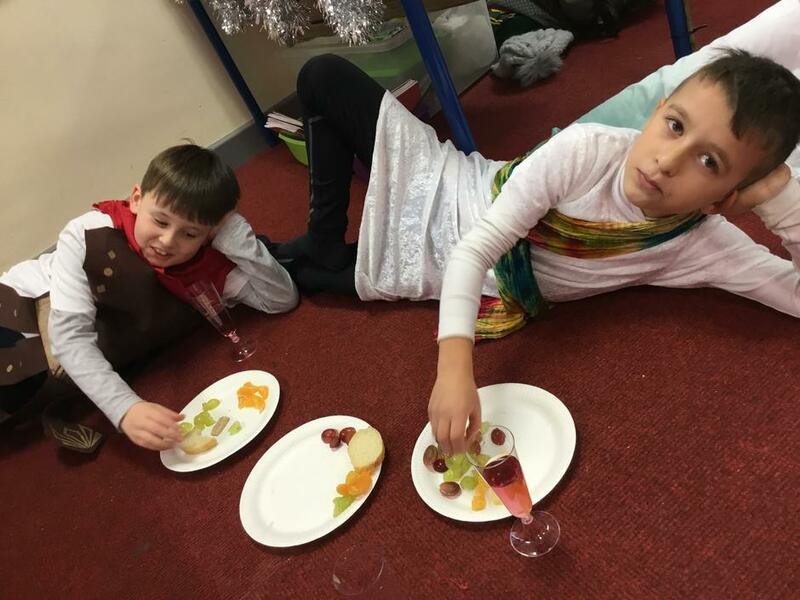 The children feasted on foods such as olives, dates and a personal class favourite... bread and honey! 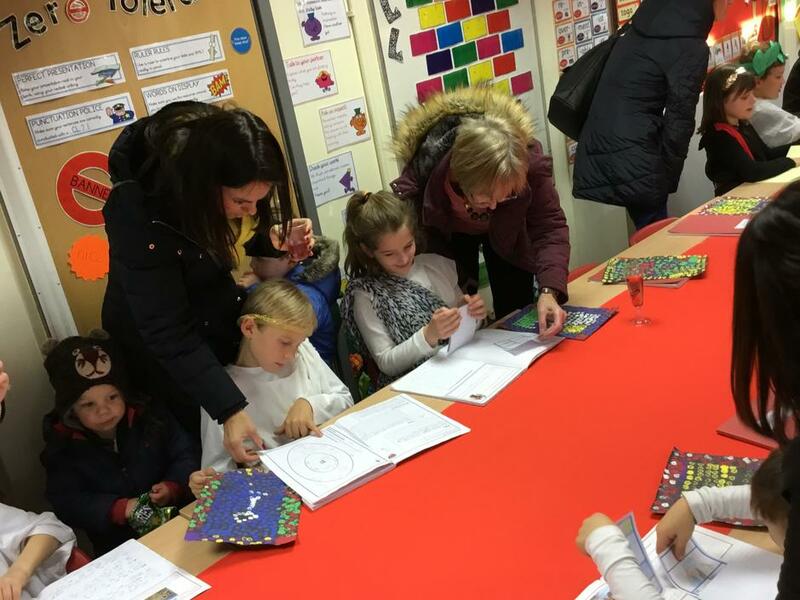 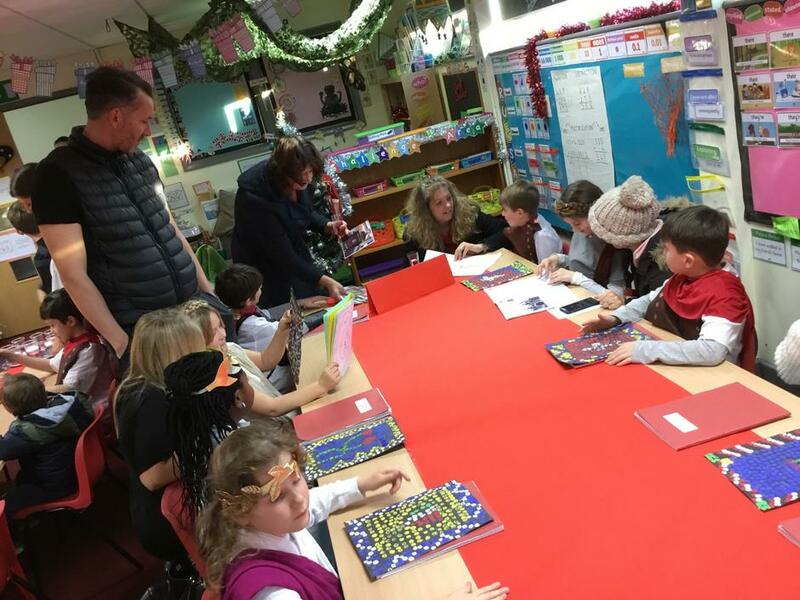 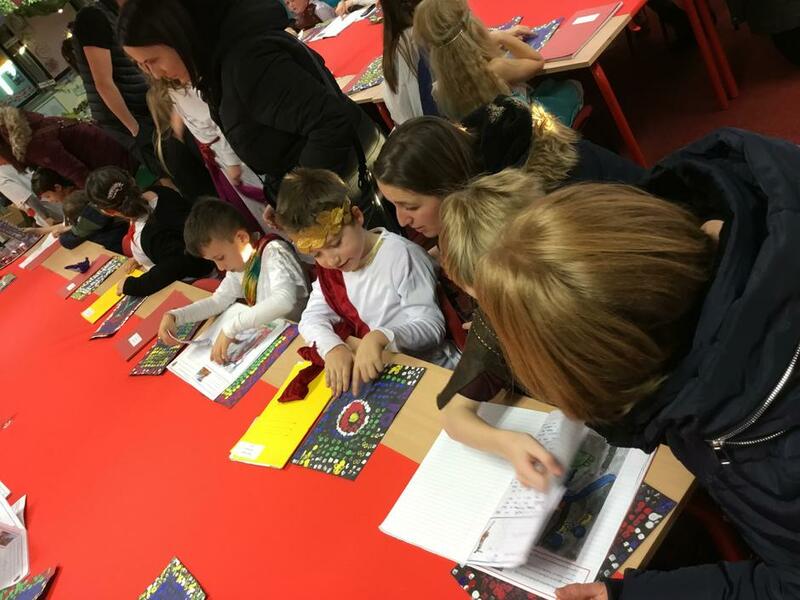 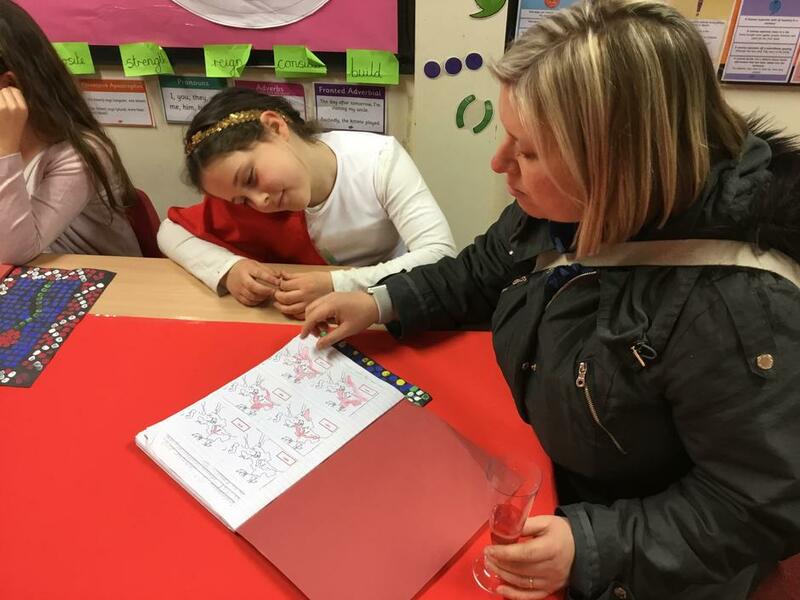 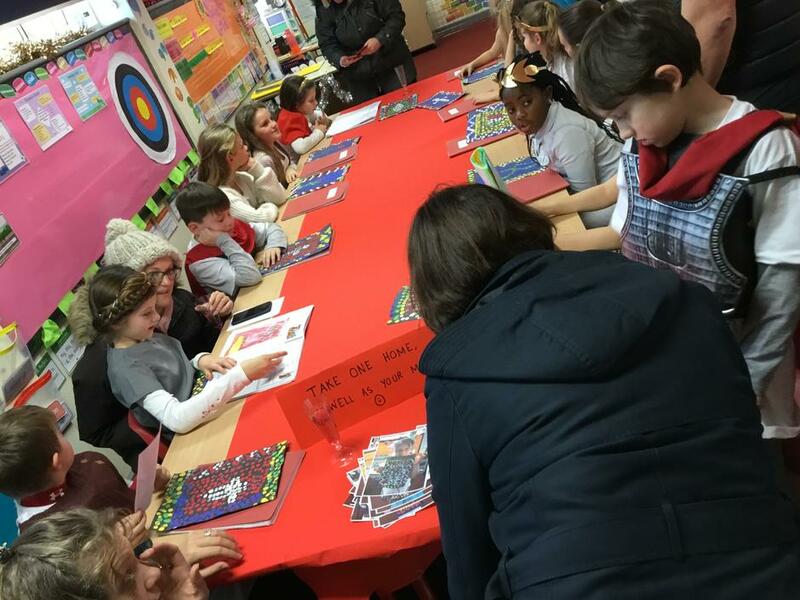 At the end of the day, we invited our parents and carers in to celebrate our learning. 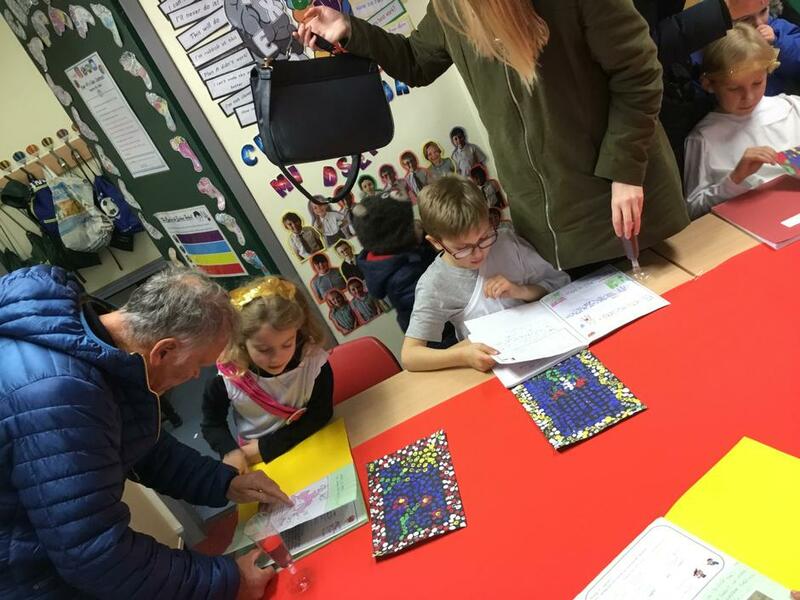 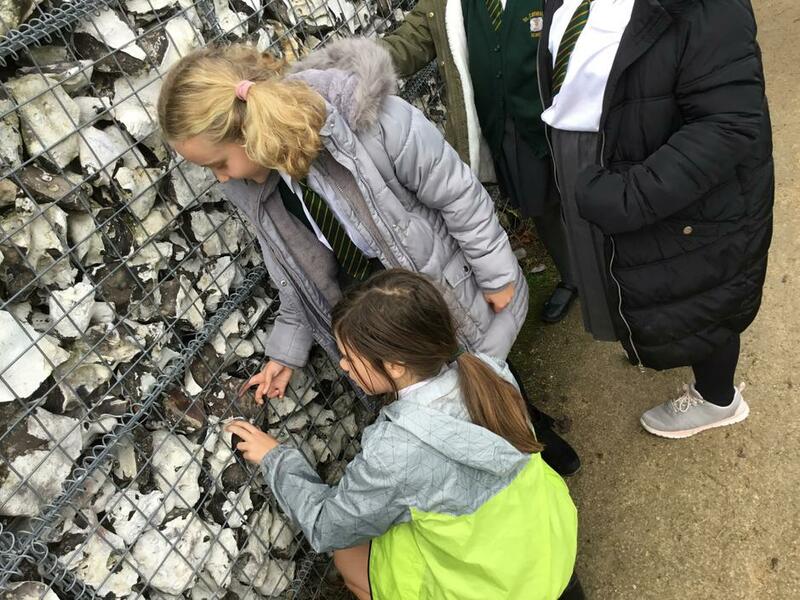 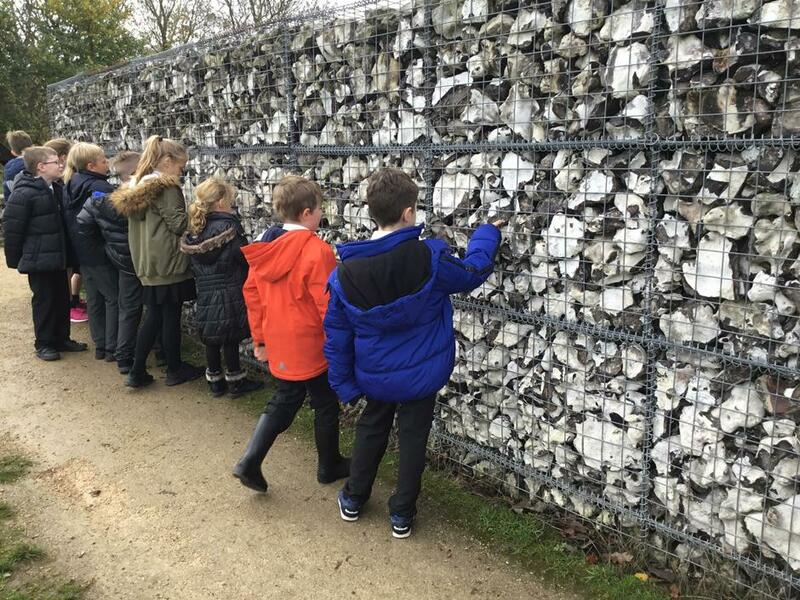 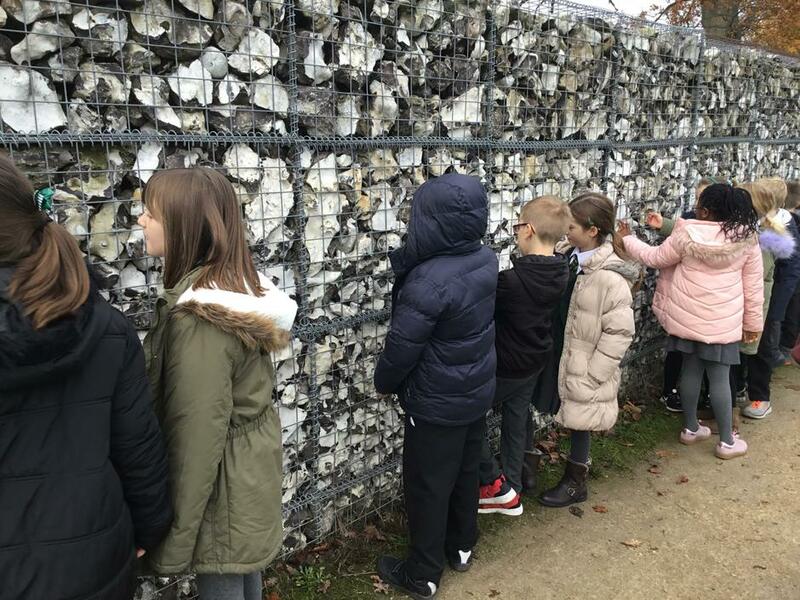 We used printing techniques to create our own mosaic. 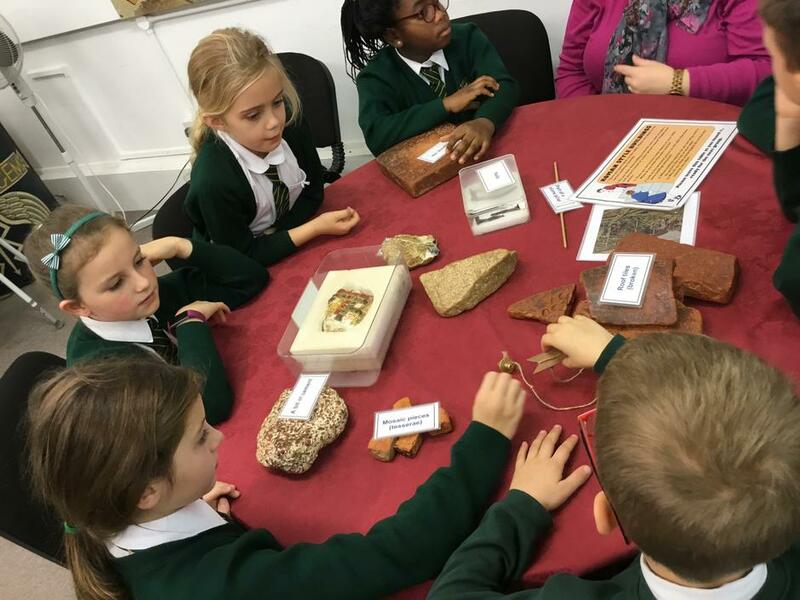 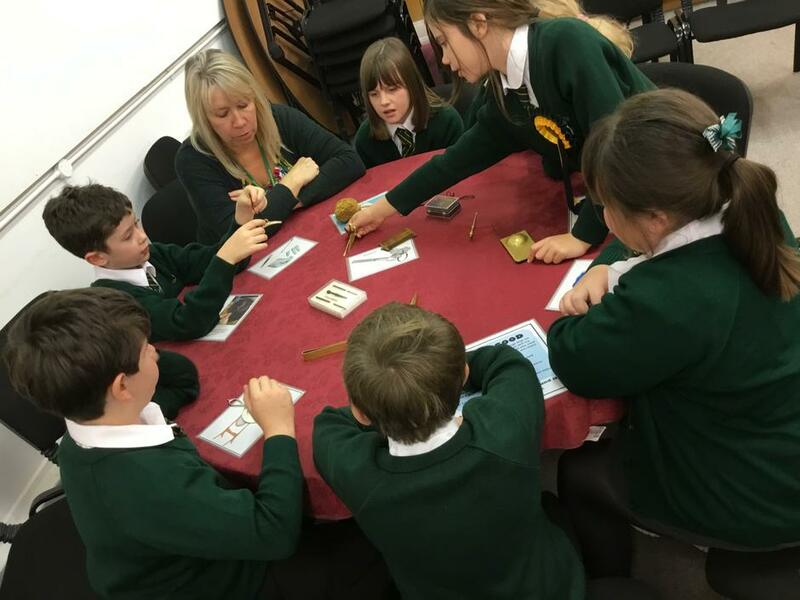 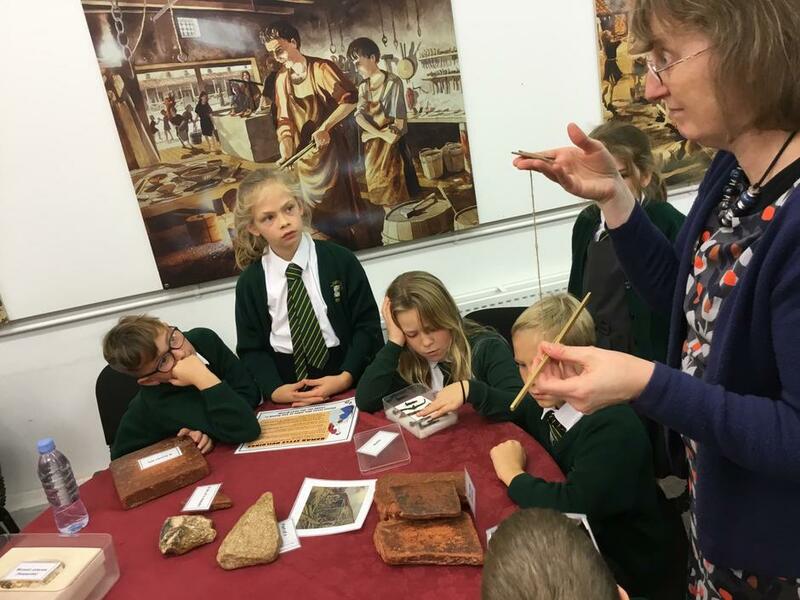 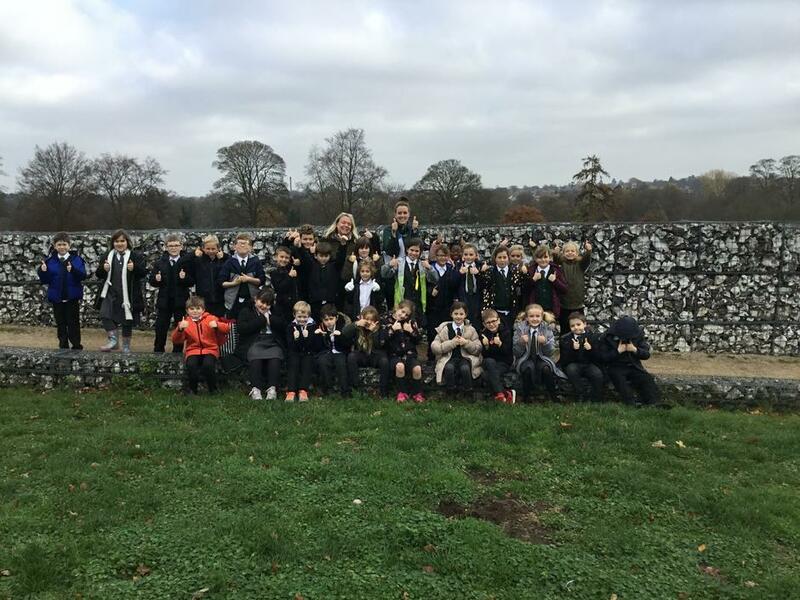 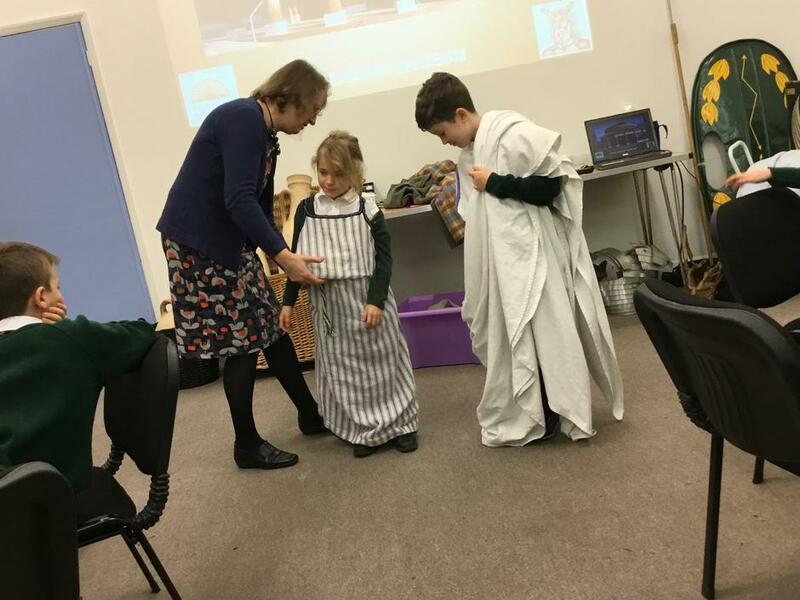 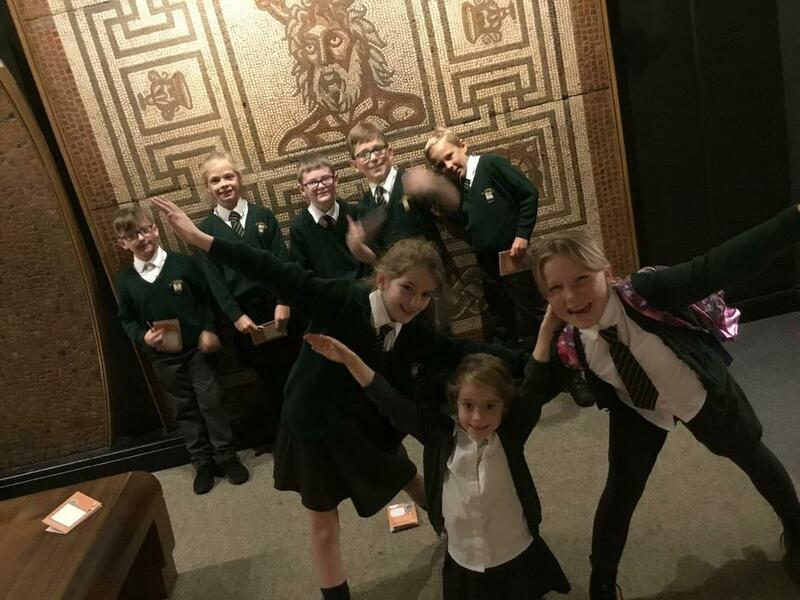 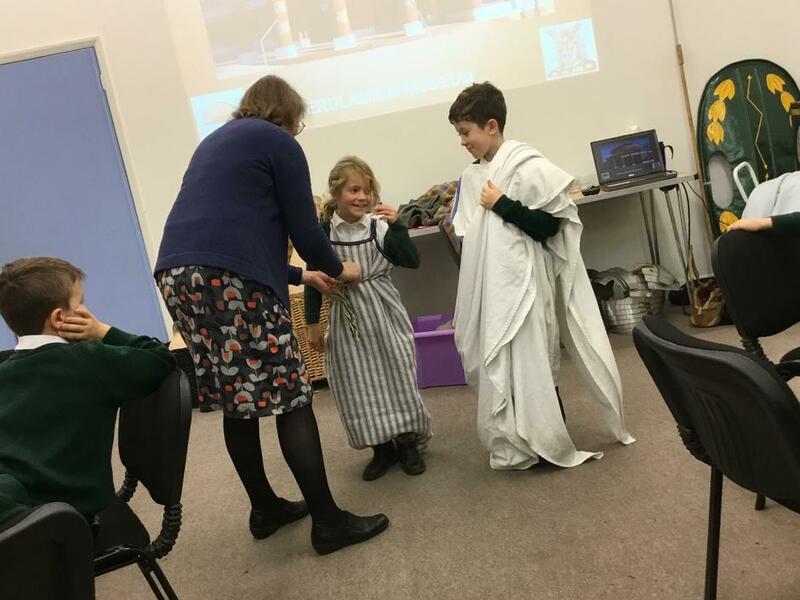 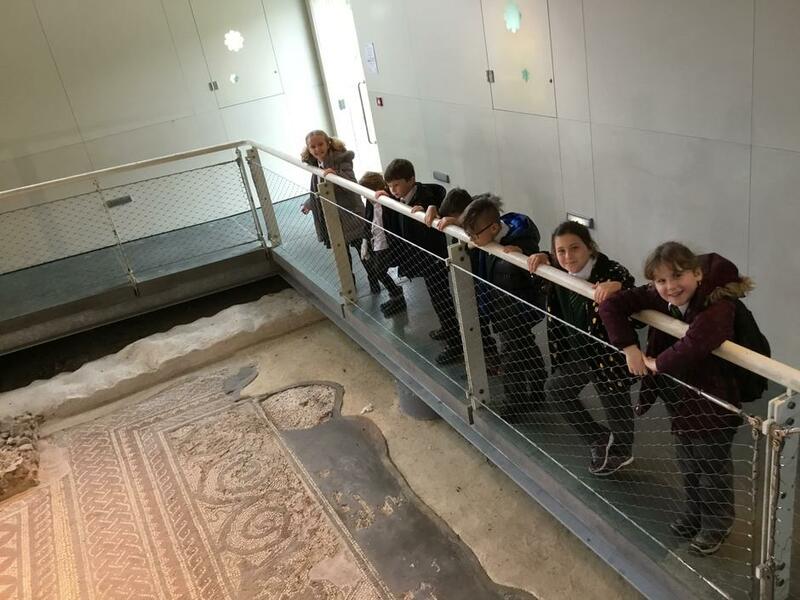 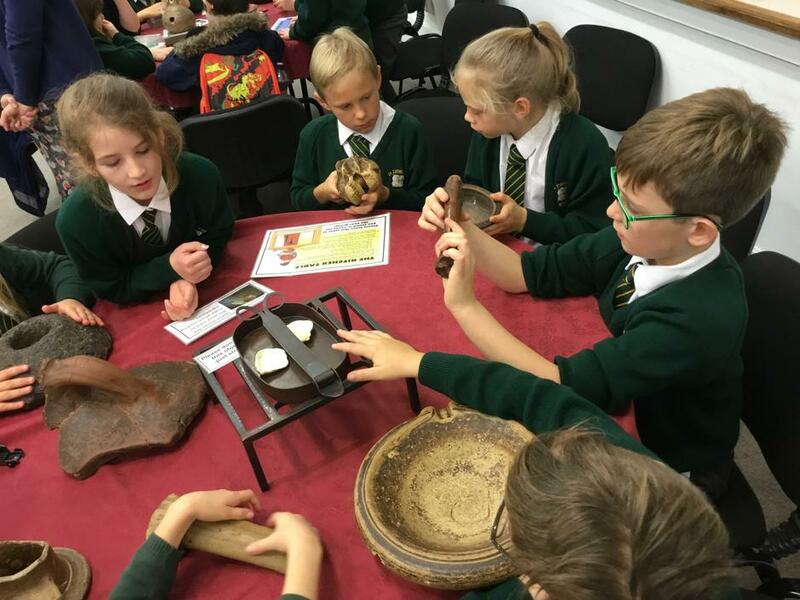 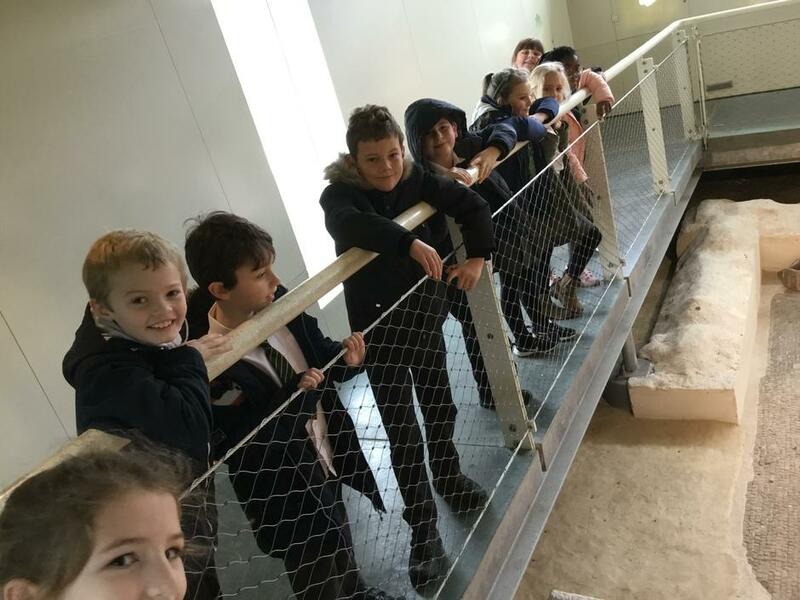 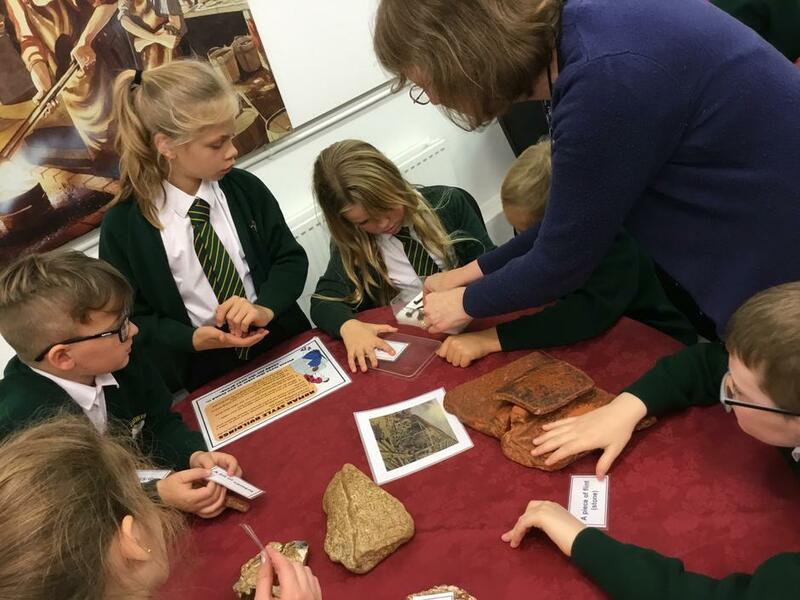 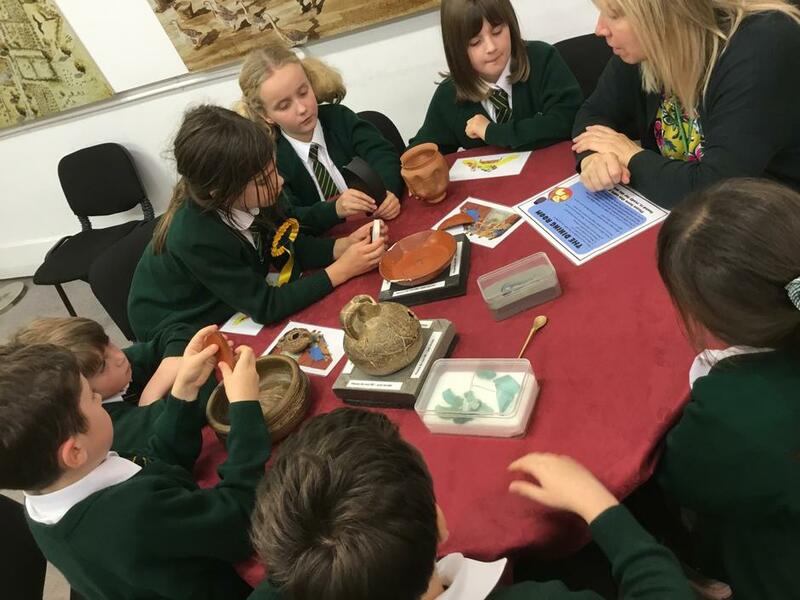 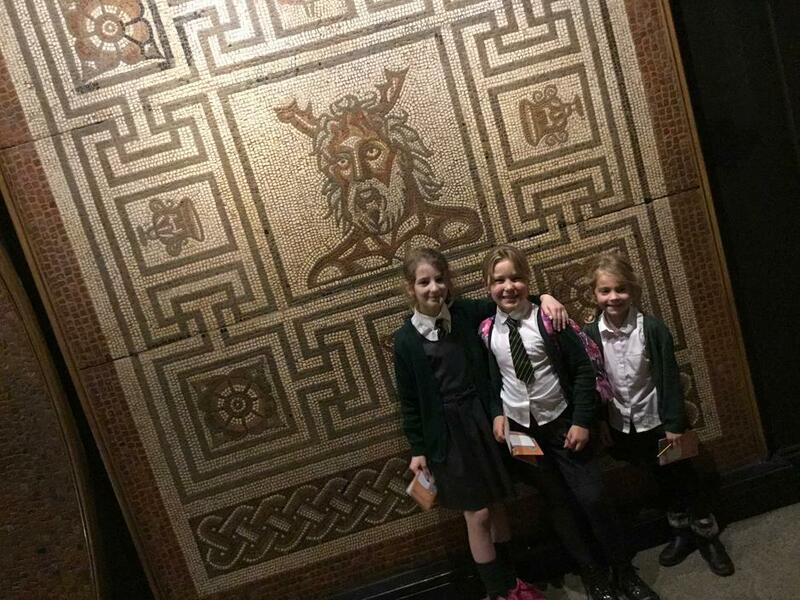 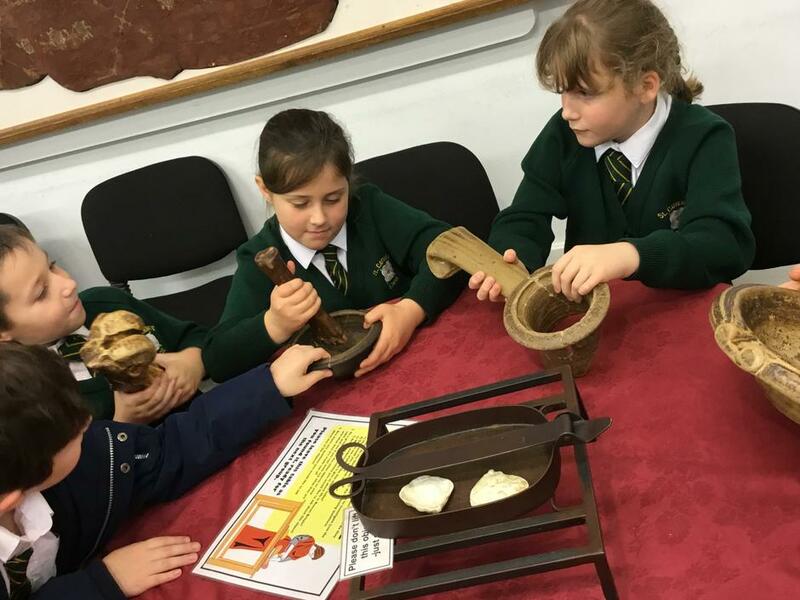 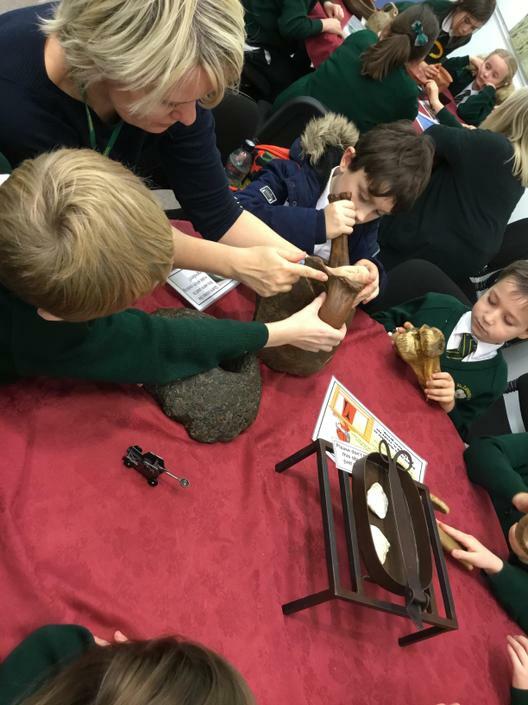 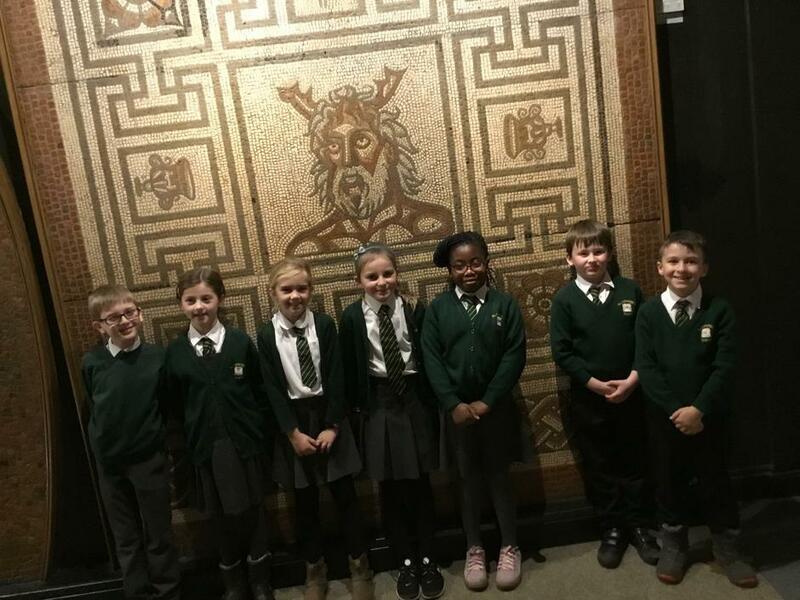 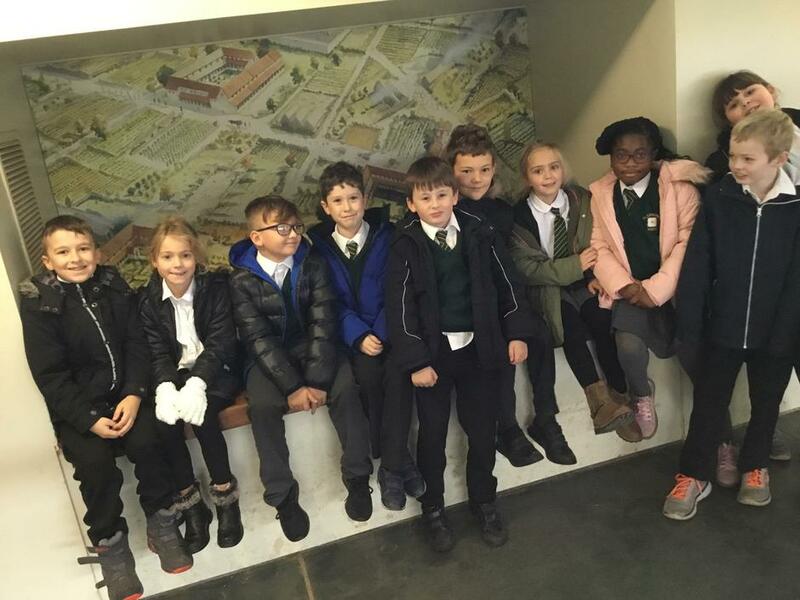 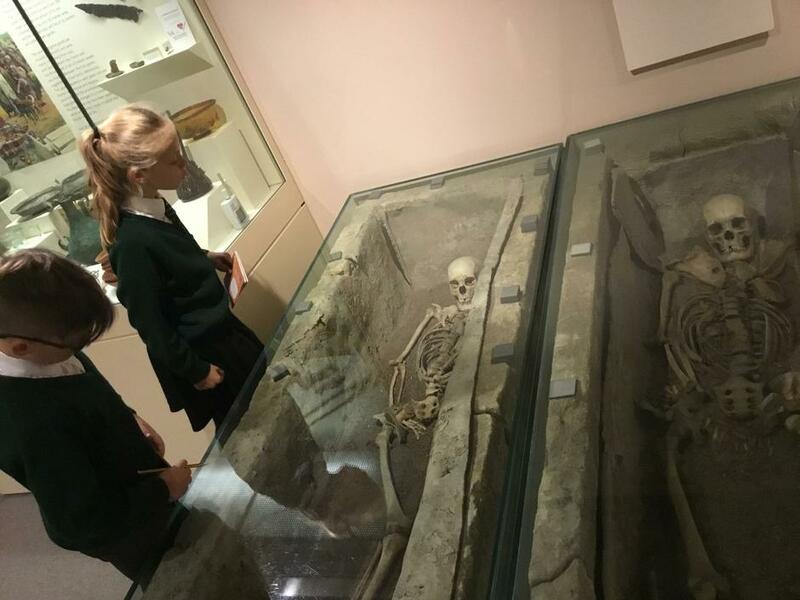 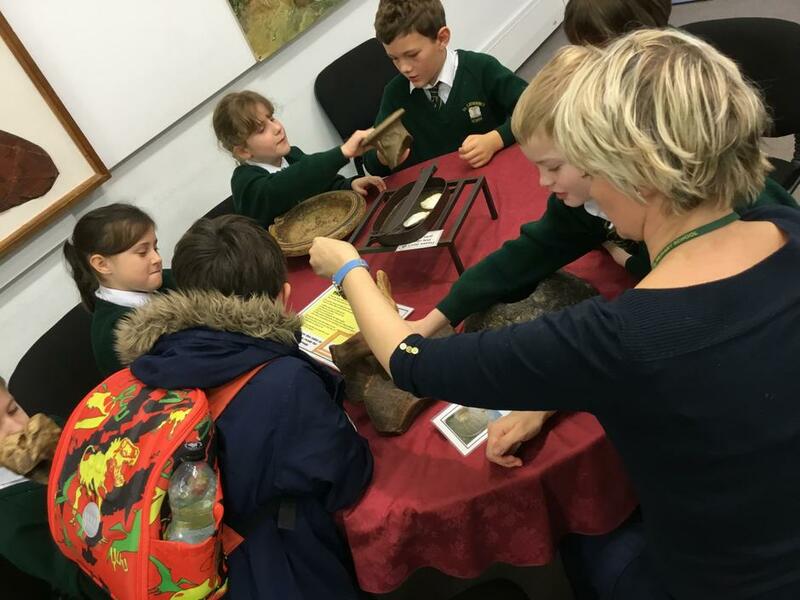 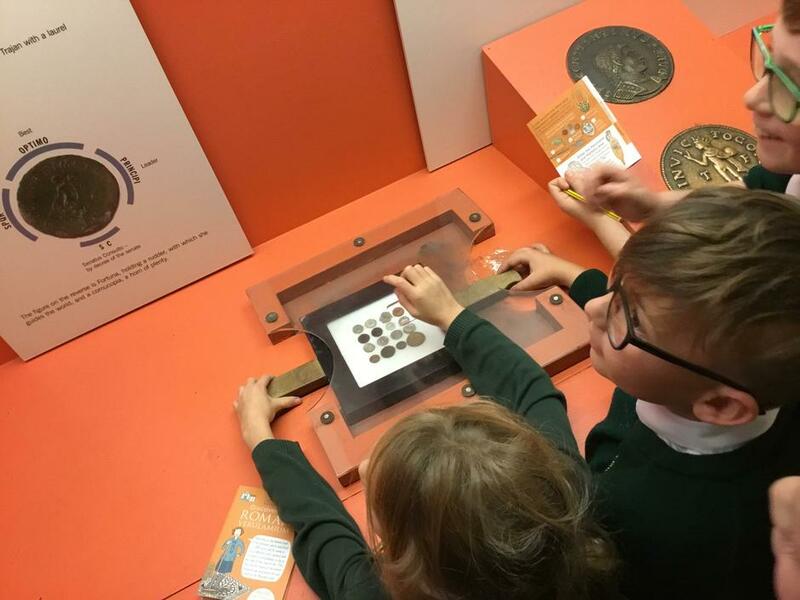 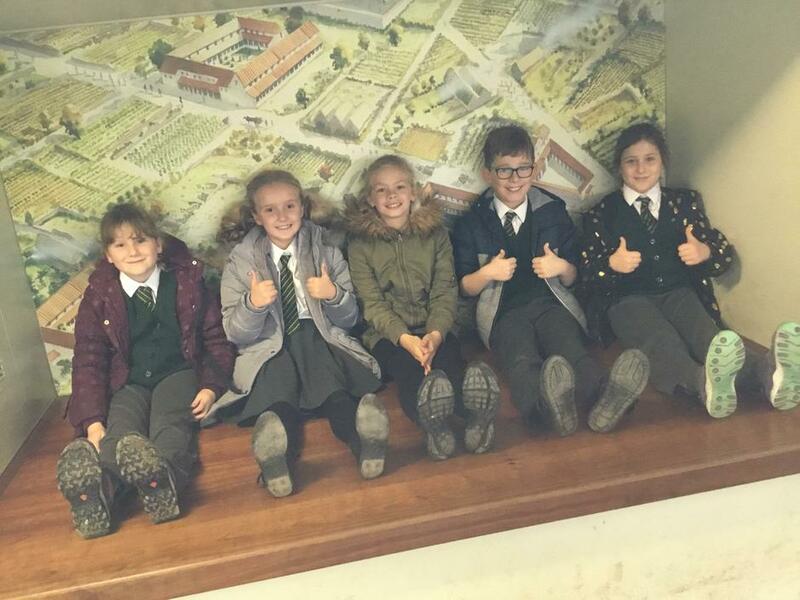 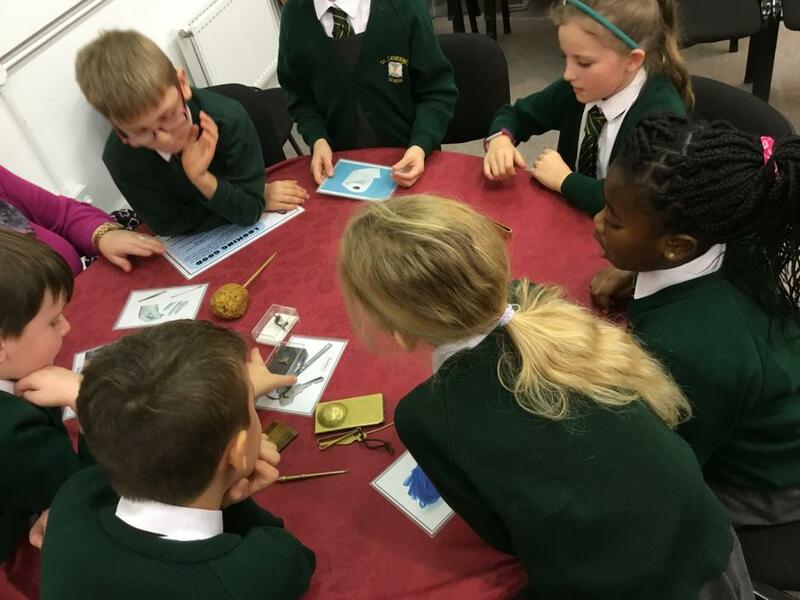 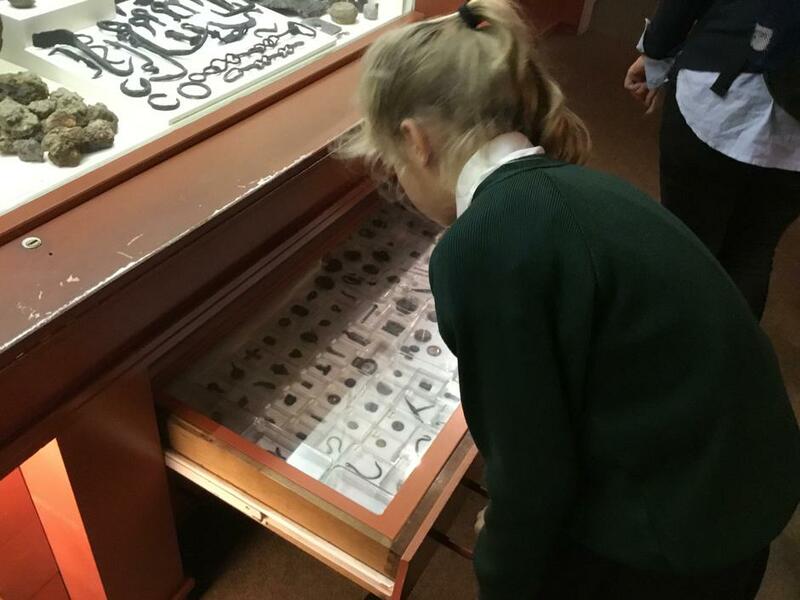 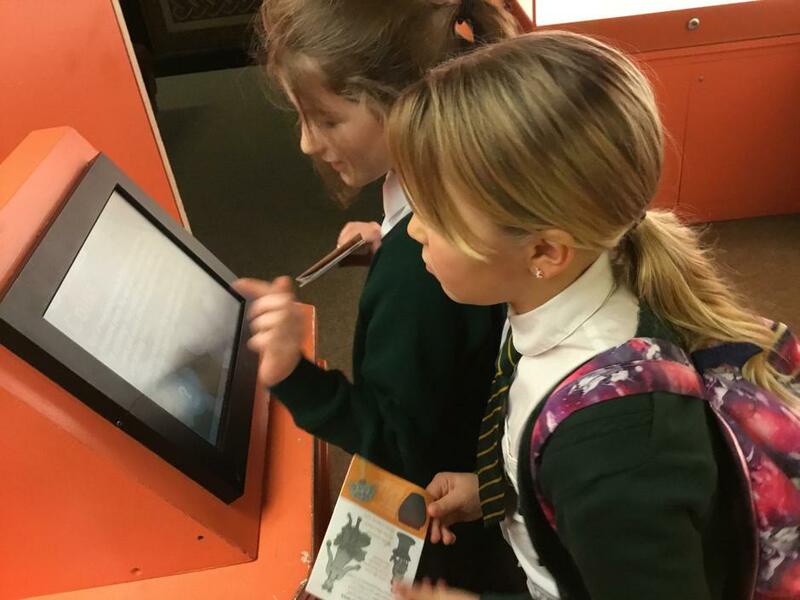 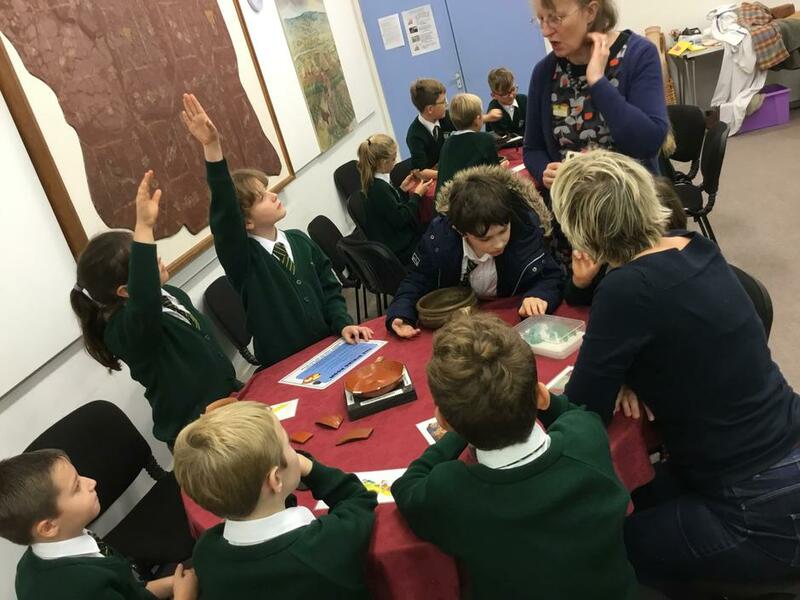 We had a fantastic day at the Verulamium Museum in St Albans. 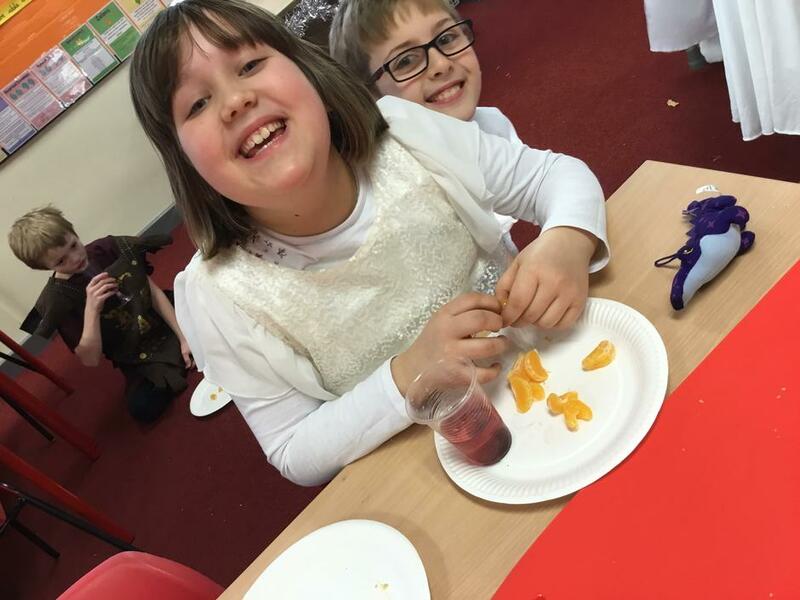 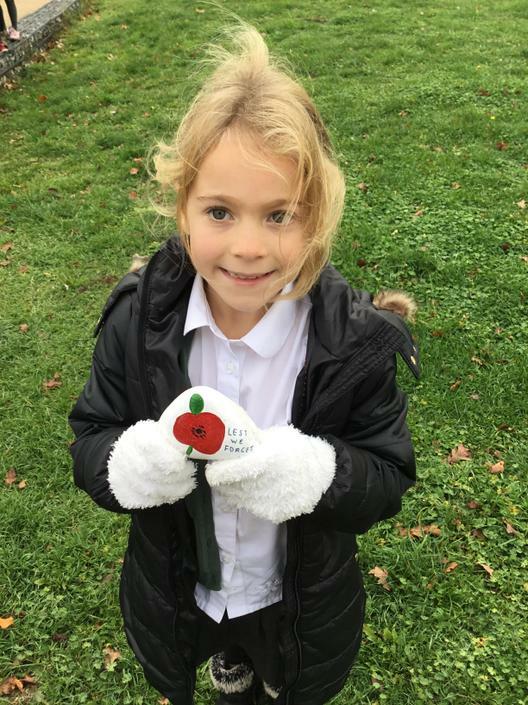 Check out our pictures below! 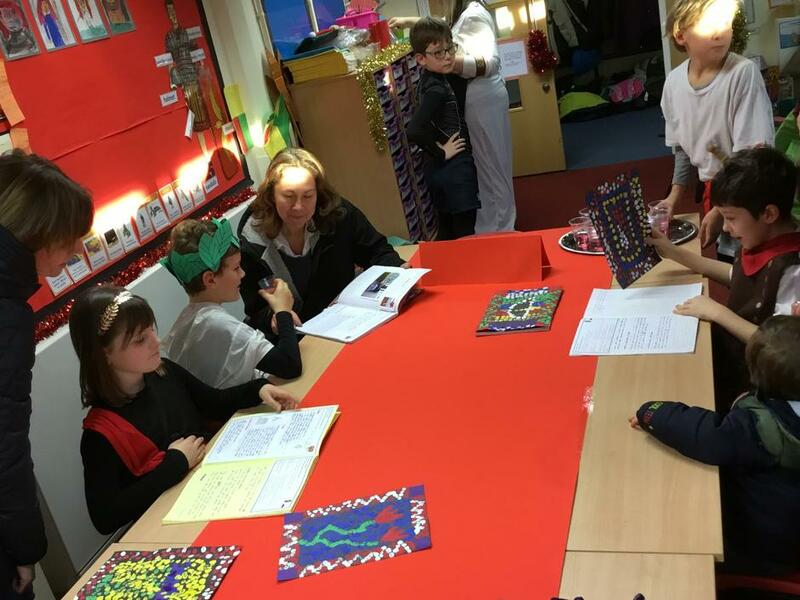 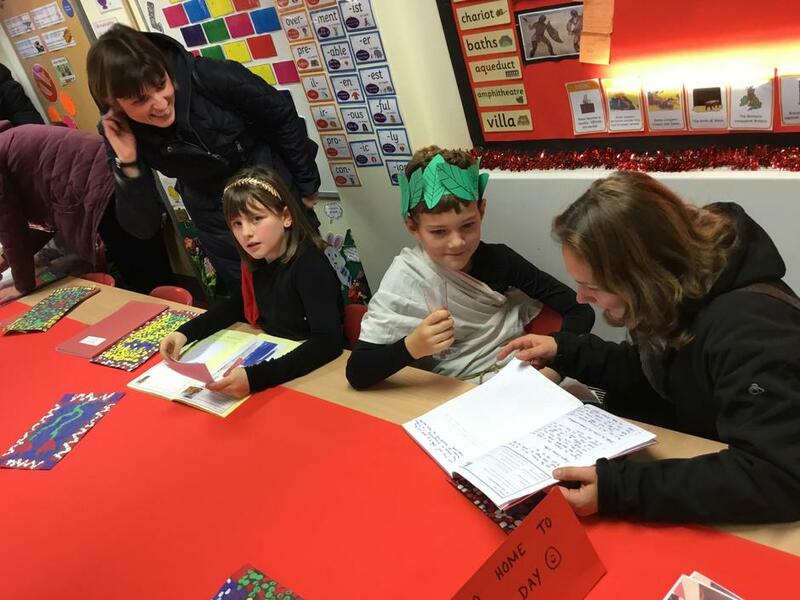 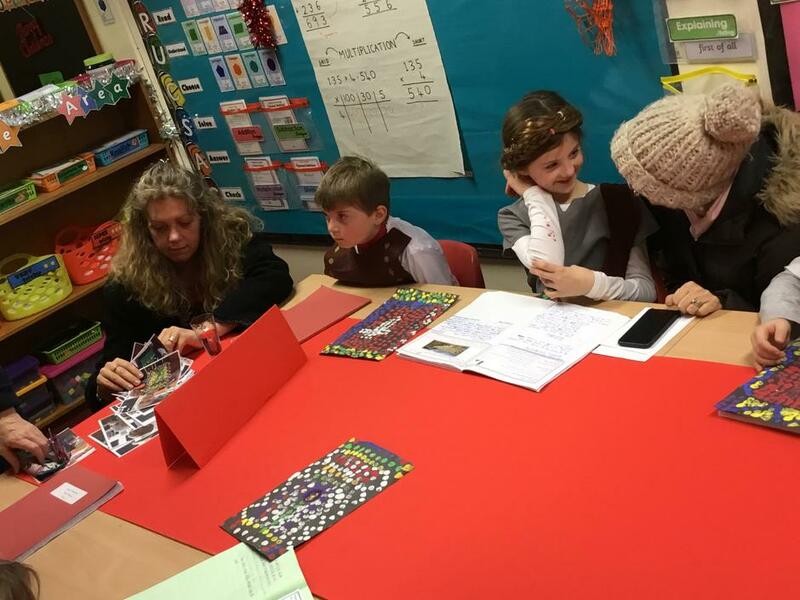 Following our learning of Julius Caesar and his attempted invasions of Britain, we scripted our own news reports and performed them in small groups.